I’ve had some Facebook friends post informational graphics concerning tax policy and health care issues. Almost every one is published by a liberal organization in support of President Obama and liberal policies. They are designed with emotion as the foundation. Here is my first shot at a conservative image you can download and post on Facebook. It’s possible for me to reduce the amount of text used in this snapshot, but that would not be fair to the people reading it. I can’t bring myself to create an emotional 500 pixel squared graphic with a catchy quote and a graph. The subject is not that simple. 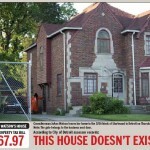 A media refusing to spend any time on these facts does not help. Ten years ago, everyone was complaining about the 30 second soundbite, now we’re in the age of the cute Facebook graphic. Ugh. The Facts: The really rich – those earning more than $10 million per year – pay an average federal tax rate that is well more than double the rate of the “middle class” who make between $30,000 and $200,000. As I note in the graphic, Warren Buffett paying an average tax rate less than his secretary is an EXTREME outlier. President Obama and the Democrats should not be using outlier examples to set tax policy – it’s POLITICAL THEATER. A “billionaire” could have no earned income if she or he is retired and is investing exclusively in a checking account that pays zero interest. Their final tax rate would be zero percent … this is the reason Buffett is an outlier and Obama’s quote is of no value, except politically of course. Click here to review the IRS spreadsheet with the raw data. It’s not hard to calculate an average tax rate. Your definition of middle class may be different, and you can take a look at column B for the Number of Returns, column J for the Taxable Income, and column N for the Total Income Tax paid for specific income ranges. My graphic combines income ranges. Break them up if you’d like. 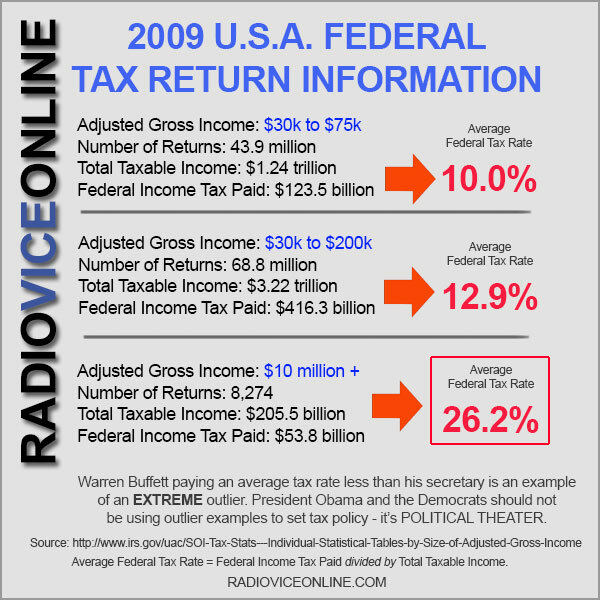 The Average Tax Rate = Federal Income Tax Paid divided by Total Taxable Income. As an example, there were about 108,000 families making $500,000 to $1 million in 2009, their total Taxable Income was $111.7 billion and the Total Income Tax paid for the group was $32.8 billion for an average federal tax rate of 29.3 percent. This post was in response to the Obama quote included in a Facebook post earlier today. Sorry, mine does not have the cool graphics and stars, but you can see the graphic I’m referring to at right. The top 10 paid executives in the US seem to make a bit over $50 million a year. One outlier made $160 million in 2011. There are less than 500 billionaires (net wealth) in the United States. None of them even make close to $1 billion a year. Larry Ellison was the highest paid executive of the decade between 2000 and 2010. 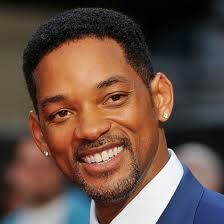 His total income was $1.84 billion spread out over 10 years.. I can not seem to locate the top 10 income earners (including those earning interest/dividends) in the United States. I assume people like Buffett are on this list as most of their income is derived from investments, not executive salaries. 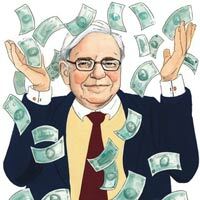 Buffett’s taxable income was about $40 million last year. See how you can’t explain this in a 30 second soundbite? A few people have suggested I skipped the $200k to $10 million range to “hide something.” They asked nicely and in retrospect, maybe I should have picked different ranges for the graphic. That said, you can run the numbers yourself at any time. That group – $200k to $10 million with a total of 3.84 million returns – had a total taxable income of $1.42 trillion and paid $380.5 billion in federal income tax. They had a 26.8 percent average tax rate. Here is a table I created from the original. Note those earning $200k to $500k – the largest group directly effected by the increased tax rate demanded by Democrats – are paying more than double the rate of the $75k to $100k group! 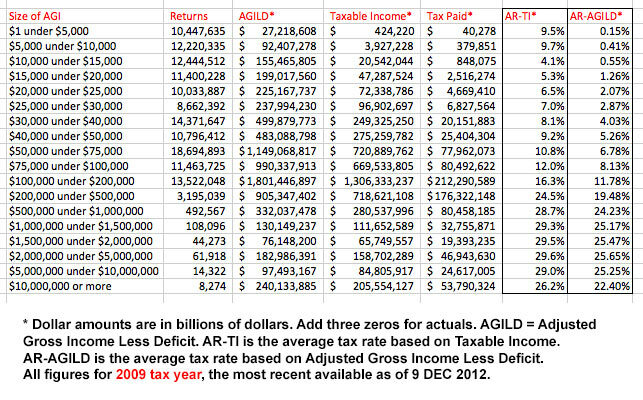 Adjusted Gross Income Less Deficit is line 37 of your 1040. This is your income prior to standard or itemized deductions. 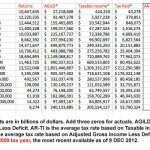 AGI less your deductions equals your Taxable Income. 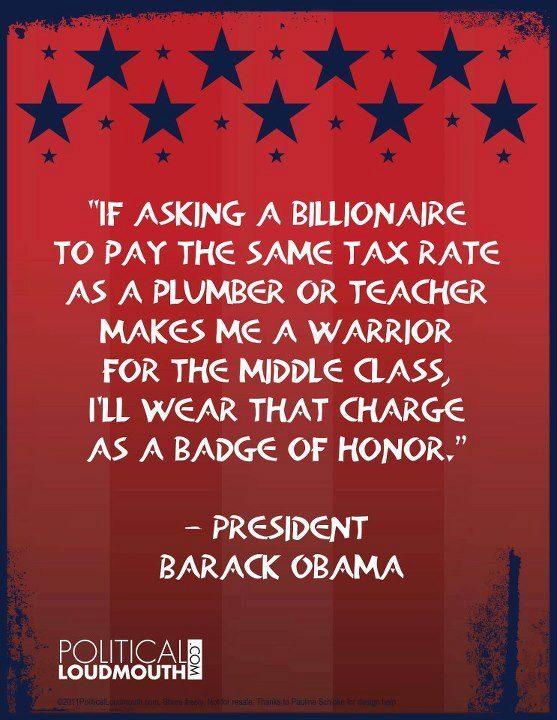 I ran the average tax rate both ways. The subject may not be simple but the solutions is:? 7.5% flat tax on all personal income with no deductions to be paid in total by personal check on the first Monday in November. Will somebody tell Obama that a Flat Tax would eliminate every cent of the debt in jig time by eliminating 71,000 pages of deductions. In 2009, it looks like an 11% Flat Tax based on AGI-LD, or a 16.85% Flat Tax based on Taxable Income would have raised the same revenue as the current progressive system. Debunking demagoguery… effectively so too- albeit to the choir.? The problem is those who will not be willing to comprehend the truth that is in front of their face- notwithstanding the MSM’s refusal to carry it.? The building blocks to tyranny are here and the cement that will hold them together is a propagandized population that is either unable or unwilling to look past the narrative to recognize how shamelessly they are being played by an administration that has shown its complete lack of concern for their well being.? Insisting that Obama understand things about flat taxes and enhancing revenues when it’s clear through his actions that he couldn’t possibly care less is pointless.? Stabilizing the system as it is would enable the continuation of a system he’s gone to great lengths to demonize.? There’s no way he wants to mitigate any “crisis” that would prove useful to him in furthering his socialist agenda. It is elusive. Like a greased pig.? I’ve been thinking . . . deductions seem to be the key in the current system. Hidden in plain sight is the reason for the 70k pages of tax code. Code is right. 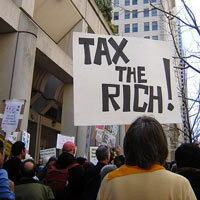 Two things Obama never talks about: cutting spending and eliminating deductions.? If deductions were eliminated, all of ’em, taxes would have to even out. 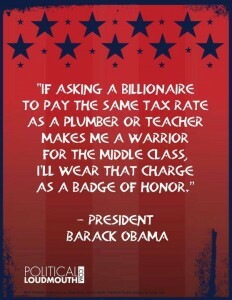 The tendency would be toward a flat tax, call it what you will. Just about everyone thinks that they pay too much; just about everyone is trying to slip out of paying, usually through claiming a deduction to the maximum.? No deductions, no contortions at tax time. And, make how much everyone pays a matter of public record, easily found. Then, we can get serious about the spending side of the government mess. I may be slow here, but I have 2 questions. Why is the $30k – 75k also included in the $30k-200k? It seems to me you would want them separated. Also, why didn’t you show how much taxes are paid by $200k-$9.9 million? I am honestly curious, do not want to criticize, just understand. I’m afraid liberals will point out that the $30k-200 k Federal Income Tax paid is ?$416.3 billion, while over $10 million Total Income Tax paid is $53.8 billion. They will say that proves the rich aren’t paying enough. I want to make it clear, we All pay too much taxes, because the Federal Govt. is bloated and should be cut to smithereens. But, Congress will never do this, and I mean by either party. They are the pigs and we are the sheep, just as Orwell predicted.? ????????????????????????????????????? Some animals are more equal, just ask a Democrat. They got the cheese and we got the . . . whack! Lynn, break them up if you’d like. I was trying to create one of those pithy graphics that you post on Facebook, and took som liberties as to what groups to select. Pick any you’d like … I picked a couple of groups under the Obama $200k threshold and compared to the $10 million + earners since that group includes Warren Buffett. Review the next post. Lynn – there are only 8,300 returns in the $10 million + crowd compared to 68.8 million returns in the $30k to $200k group – who are not targeted by Obama (yet). This is all very good and shows what we would like all Americans to understand….but…..Revenue is not the problem. Cut spending everywhere by 10% and then cut the waste and then cut the staffs that we won’t need when all the waste is gone and then live within their means.? Yes I am Dreaming.